More than 25,000 visitors from all over the world stopped in to the Omaha Visitors Center during 2010, an increase of over 5,000 visitors from last year. Visitors came from every state in the U.S. and 98 different countries. Visitor Center attendance in 2010 reached 25,613, in 2009 it was 20,835. In addition the Omaha Convention and Visitors Bureau Front Desk Concierge assisted close to 4,000 visitors who called or e-mailed asking questions about Omaha. The Omaha Visitors Center is located at the corner of 10th and Farnam. 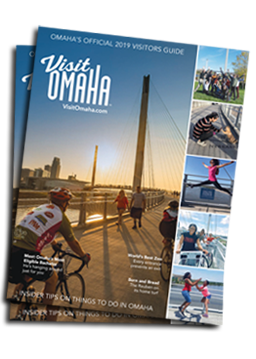 It is a great resource for both visitors and residents to find out what&apos;s going on in Omaha, talk one-on-one with friendly experts, rent bikes, enjoy the full-service coffee shop and shop for unique Omaha gifts.